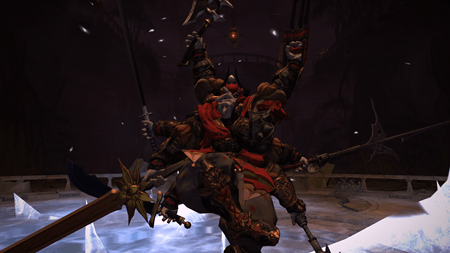 This is the third week of my MMOs Worth Playing series, and at some point I am probably going to stop doing this introduction. My focus on the games I pick is to try and choose some of the awesome titles out there that may or may not be getting as much love as I think they deserve. No one needs to do a post on the reasons why you should be playing World of Warcraft, because there are tons of sites currently covering WoW. However there are a bunch of games that slip under the radar for one reason or another, and my goal is to pick some of those and talk about the things that interest me about the game. 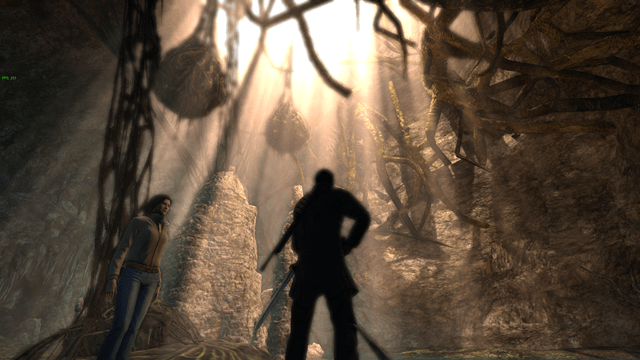 So far I have covered The Secret World and Rift, and this week I am digging up a title that I have not spent nearly as much time as I would have liked playing. I feel like I missed the boat with this title, and at this point there is just too much content for me to ever hope to catch up. 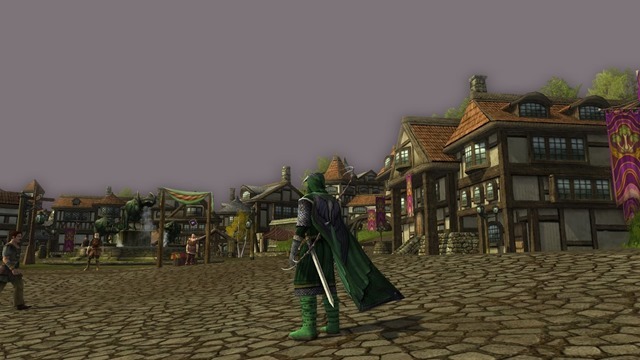 I am talking about Lord of the Rings Online, which honestly is a quiet juggernaut of available content and things to do. 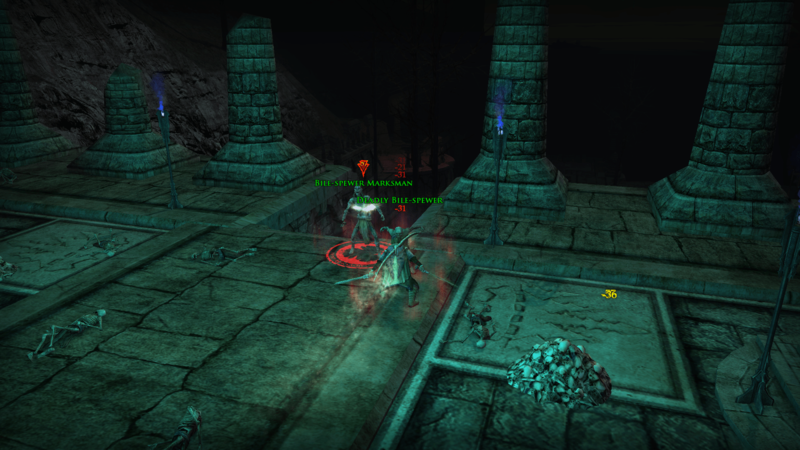 Shortly after posting my last write-up, someone asked me what the hook for Lord of the Rings Online was… and honestly if that title does not inspire magical tingly feelings down your spine then more than likely this is not a game for you. The hook of this game is and will always be that you get to wander around in the Middle Earth Setting from the Tolkien novels. That is perhaps the first distinction I should make. 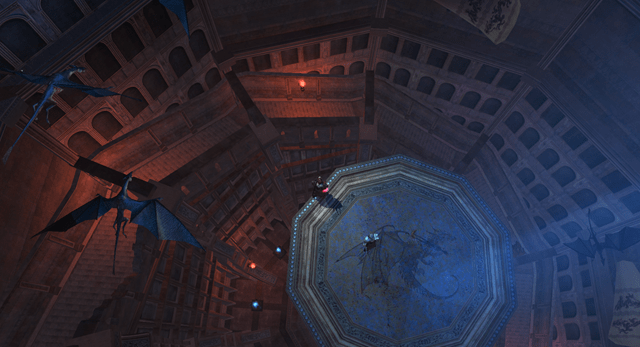 While this game draws some on the visual styling of the movies… it is very much a product of the literary source. As a result you are going to see more of the world than you ever saw in the movies. For example the movies cut out the entire Tom Bombadil/Barrow Downs section of the books… and here you get to experience them in all their glory. The Barrow Downs area was seriously one of my favorite parts of the early game, and exploring the tombs felt just like reading about the Barrow Wights for the first time. Rolling up on Weather Top, or Rivendell is just amazing… because here is this thing that you already know so much about… that you are seeing fleshed out and made far more real. The biggest take away from the setting that I can give you is that it is huge, and feels more like a real world than most MMOs do. There are all sorts of little things that draw you into the world. When you ride past this or that stand of trees… it might scare a flock of birds to take to the air.. making it feel like this living breathing world that you get to explore. Travel is one of the frustrations most people have with this game, in that the it requires you to memorize a series of routes that remind me quite a bit of the way travel in Dark Age of Camelot felt. That said this also makes the world feel like something that actual people are living in… because people are messy and chaotic and pretty much buck order. Think of your own surroundings… is it actually laid out in a manner that is consistent from town to town? The amount of distance that you have to cross ends up slowing your gameplay down, and putting you in a mode where you are really enjoying the setting as much as you are the game. There are so many little nuggets of detail scattered through the land that you can only see if you are not passing over them at irrational speeds. In many ways this game was doomed at launch by being thrown in a bucket of “WoW Clones” because honestly… the interface does feel extremely similar to the World of Warcraft standard. However the game has always felt like a bit of a throwback to an earlier time, and a much less arcade gameplay experience. The game has one of the more intricate and rewarding crafting systems, and I found wandering the countryside looking for nodes to harvest a pretty enjoyable use of an afternoon. Where the game gets really intricate however is the “Deed” system, which I realize is a proper use of the word… but for some reason I always think of housing. Essentially every action that you can take in the game more than likely has some sort of a deed associated with it. These deeds however are largely invisible to the user until they go to a specific area or do a specific thing. From there it starts a completion bar explaining what you need to do to complete the deed which then appears in your log. What makes this system interesting is that they are for all sorts of tasks. They might involve you exploring an area and finding specific landmarks on the map and clicking on each of them, or they might involve you doing specific combat attacks a number of times. Some of them involve you taking down a fixed number of mobs of a specific type. Equally varied are the rewards. This game is huge on handing out titles for damned near everything, which makes it really interesting as you roam the country side. There are far fewer “Hand of Adal” type titles, and more intimate and custom ones. I for example tend to rock the “Enemy of the Dead” title gained from slaying members of “The Dead” type… namely undead, wights and the sort which are one of the ancestral enemies of “man”. The important bit from deeds is the ones that unlock your Class Traits. This game is full of systems within systems, and the Traits are a talent point type system that falls into three categories: Class, Racial and Virtues. 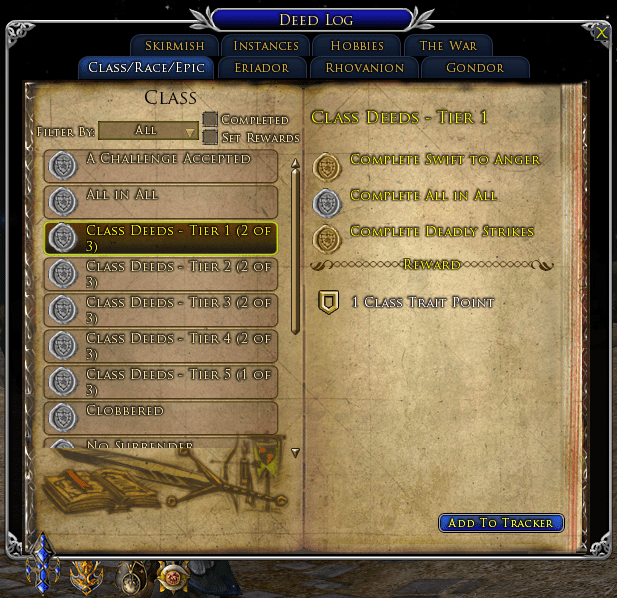 Class traits tend to increase the effectiveness of your class abilities. Virtues are pure stat increases, and the type of stats increased vary based on the virtue you are choosing. Finally the Racial traits are this odd mix of abilities and stat boosts that are designed to take the place of “racial bonuses” in most other games. The end result makes them feel far more fleshed out, and gives every race in the game a specific flavor other than their visual characteristics. The gotcha here is that in order to progress you really need to be paying attention to your deeds, because these traits end up giving you a huge boost to your effectiveness. In theory you could probably level through the game without doing any… but it would be highly unlikely that you could actually complete any of the end game or likely even dungeon content without some focusing through these abilities. Turbine with Lord of the Rings was one of the very first successful and even viable free to play pricing models. It is a mixture of stick and carrot that no other game seems to have completely replicated. Completely free to play characters are extremely limited in what they can do. They are limited in their chat functionality, and the amount of money they can earn… and most importantly for me the number of bag slots they have access to. All of the rich systems in the game are essentially on an adhoc basis forcing you to purchase wardrobe access, auction slots, and individual trait slots. One of the interesting things about this system is that you transition from free to play status to “premium” the moment you purchase anything from the turbine store. This unlocks a bunch of things including increasing your bag slots to five, and this essentially stays unlocked for the life of your account. This means that once you have actually bought any of the unlocks it greatly upgrades your account making it pretty damned playable. Granted when I have played this game actively I usually subscribe, but over the last few weeks I have been poking my head in to take screenshots and found the game play pretty viable in freemium mode. The downside however is that I consider the Turbine store to be one of the more expensive to actually purchase anything on. Horses are essentially $20 regardless of how you chop it by the time you factor in the mount and the actual riding skill. Compare this to Rift where you can pick up a basic mount for only a few dollars worth of in store currency. This was one of the first, but unfortunately it has not really taken into account the fact that other models are out there and are more equitable to the player. They do however run a lot of store sales, and unlike most games you can actually earn turbine points by completing content in game. Granted you are awarded them five to ten at a time.. and you need 2000 or so to unlock most of the things people would be interested in like new classes. It does however give players the option to grind out content to earn cash shop currency to purchase things like trait unlocks and extra inventory and vault storage. I file this system in the realm of not optimal but not nearly as “anti player” as the SWTOR free to play model. The game is extremely rich and interesting… but in truth you are not going to be playing Lord of the Rings Online for the game itself. 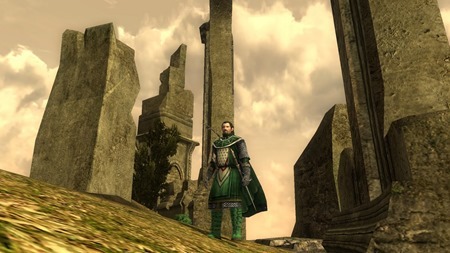 You are going to be playing this game for the amazing story that allows you to play a character in the background of this world as you mirror the events of the Fellowship. It is like playing Star Wars but playing Wedge Antilles instead of Luke Skywalker. You are doing super important things, but you aren’t ever going to get the kind of broad credit and fame that the stars of the show are getting. This ends up making the quests feel all the more rich because you know a bit of back story already, and they are filling in details of the setting and giving you insider information on the world. 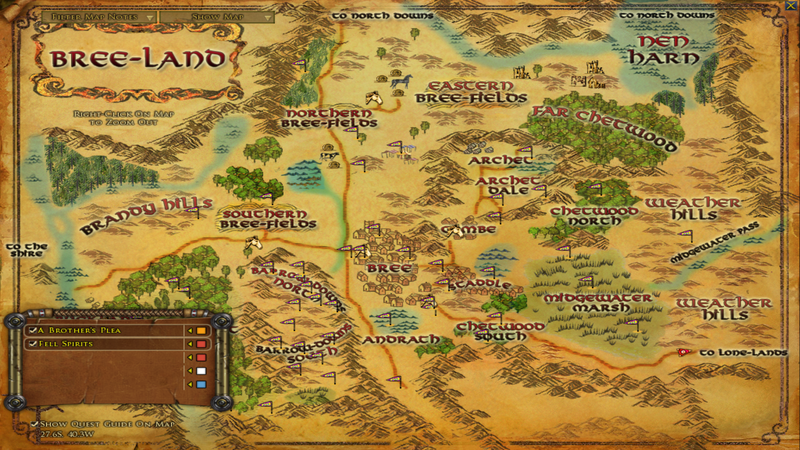 Even more importantly than this however… is that you will be playing Lord of the Rings online for the community. Now I am a huge fan of communities that are active and vibrant and I tend to be drawn towards role-playing environments… even though I am not myself much of a role-player. 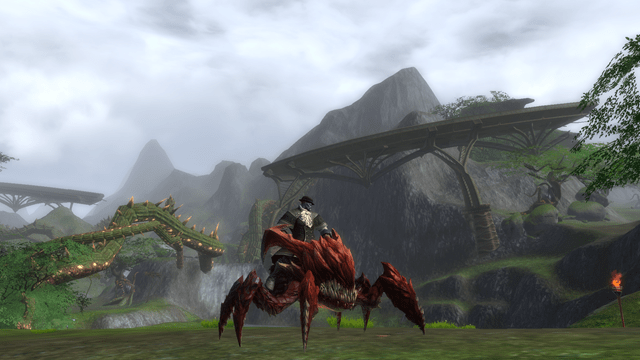 I currently play on the Landroval server and I have to say it is pretty amazing. This game has spent so much time on providing settings for the players to interact and mingle, and has quite possibly one of the coolest sub systems I have seen in any system. There are instruments in game that can actually be played by the characters, or you can read in midi sequences from text files that then get interpreted with the in game instruments. 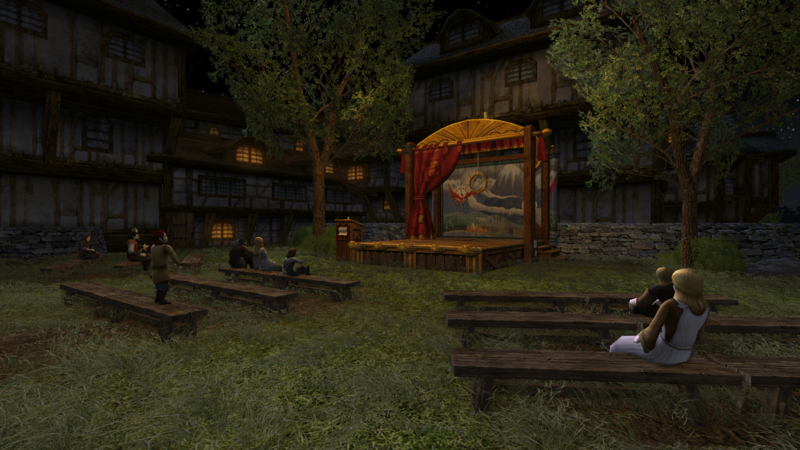 This allows the players to do really interesting things… like hold concerts and places like the Prancing Pony Inn in Bree are a hotbed of folks showing off. 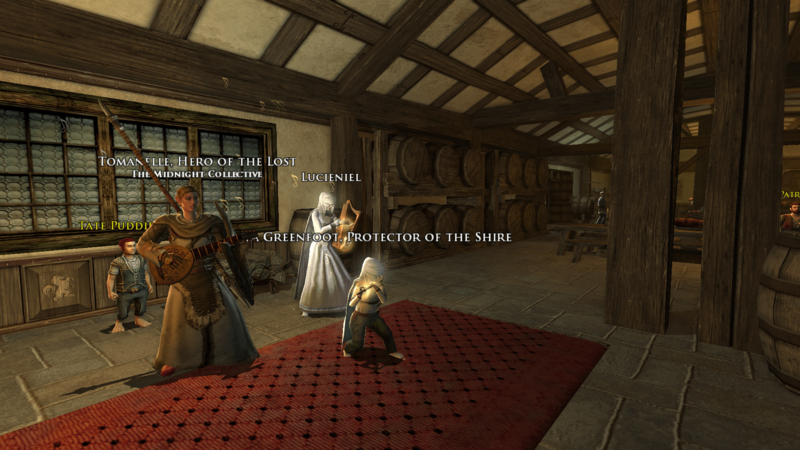 I rolled in last night and saw the band from the first image above performing in a corner of the Inn. Outside there is a full concert stage, and normally there is another group set up there playing songs for the passers by. There is never a moment in any of the hubs where there is not some role-playing going on, and people have always been super open to answering questions from new comers. In terms of friendliness I would put Landroval up there with Antonia Bayle in EQ2 and Entity in Wildstar, and that is saying a lot. I have also heard that the Windfola server was pretty amazing… but unfortunately I believe it was a casualty of the server merges. It seems like about half of the people I knew from Windfola are now on Landroval… and another batch ended up moving to Arkenstone. I have a feeling that honestly whatever server you end up on, is going to be a great place to land. The game is well worth a download and giving it some time to explore. The biggest word of advice I will give you however is to take it slow. This game is a much more gradual game than players are used to these days, and if given the proper amount of time to allow yourself to wander and inhabit the world… I have a feeling you will greatly enjoy your experience. Tomorrow morning is going to be what seems like a frosty one. So I am once again cheating and writing a blog post the night before I intend on posting it. I assume in the morning I will need to spend all of my available time scraping windows and warming cars to make sure we can get in safely. Lately I have been poking my head around Guild Wars 2, a game that I had until Pax South completely written off as “not for me”. Since then I have reached a point of peace with the game, and actually found that I am enjoying it quite a bit. So this morning my post will be a revisiting of games that I would like to give a second or third chance. Star Wars: The Old Republic has the dubious honor of being quite possibly the worst possible free to play conversion I have ever experienced. If I did not know any better, it might be absolutely functional for a new player. That said having played the game in release and realizing just how gimped the game is without spending a lot of money, infuriates me. Essentially I cannot bring myself to play this game without actually paying for a subscription. I have attempted to play this game a few times since release, but never for terribly long. My last voyage into the game was to try and play a Sith Juggernaut, since I had not really experienced much of the dark side content. When our guild was actually playing regularly I managed to level a Jedi Guardian, Jedi Shadow, and a Trooper Vanguard… so yes all three available tanks. When I finally left the game I was slowly working on leveling my Chiss Smuggler. Since then they have released several expansions each with their own story extensions. I feel like maybe I am missing something having not seen any of this content. That was the one thing above all else that really excelled with The Old Republic, was that the traditional Bioware story was excellent. This weekend on the podcast we talked a bit about Kodra’s experiences with the smuggler storyline, and I have to say I got those pangs of remorse in my stomach for never having experienced it. On top of this, there is still so much content Sith side that I have never actually seen. The problem that I ran into the last time I played was that the questing just felt so repetitive. These quests are very much World of Warcraft Wrath of the Lich King era in the way they are constructed. While the storyline itself is excellent, it just felt tiring to keep trying to push through the planets. Still all of this said… I feel like I should give it another shot. 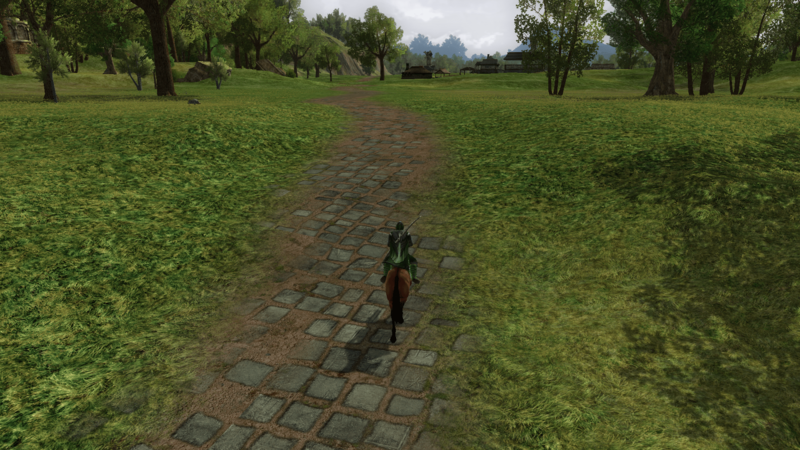 Lord of the Rings Online and I have a strange relationship. I never actually played this at launch, but during one of my many breaks with World of Warcraft I joined some friends playing it. There are things I love about this game, and then there are things that frustrate me. I love the community of this game, almost more than I like the game itself. Landroval is an amazing place, and there are so many times I find myself wandering around Bree listening to player created concerts rather than actually completing content. I’ve never been successful at trying to play this game for free, so ultimately I end up subscribing to remove the roadblocks. There is just so much content that I have yet to experience. Last time I played I had just made it to the Trollshaws, which I think is in my late 30s. I greatly enjoy the Champion as far as a class goes, and found it really enjoyable to solo. Which was super important because I have never really found a stable group playing this game. I follow so many blog of players devoted to LoTRO and I have to say I feel like somewhat of a failure that I have never had a max level character there. As such it sits in a unique place as far as regrets go for me. I am sure I will end up reinstalling this game at some point, and poking my head back there to give it another go. It has been I think two years since I last tried to play, and since then I am sure quite a bit more content has been released. The game is full of so many special moments of nostalgia for followers of the book series. 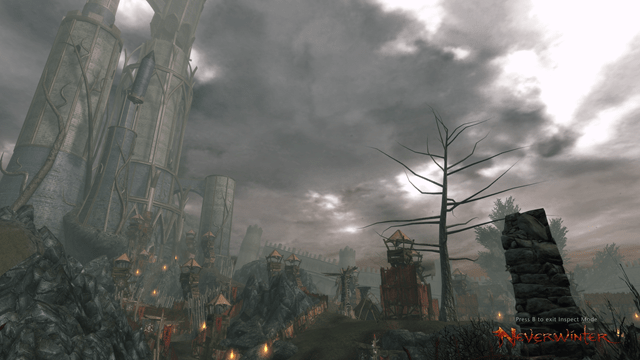 The above picture is from Weathertop, one of these early “oh my god I am actually standing here” moments in these games. I just wish I could clone myself and play all the games I want to play at the same time. When this game was released I played off and on during the first week… and then never set foot in it again. 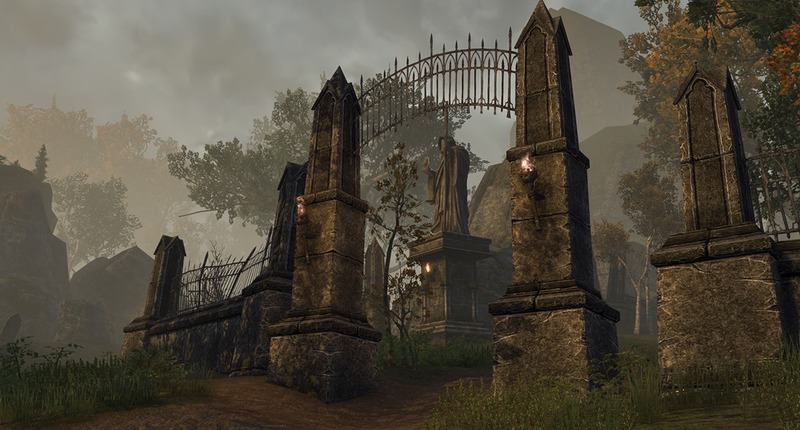 The biggest problem I had was that while the game was a good action rpg… Elder Scrolls Online was simply a better one. In the weeks since joining open beta for Neverwinter and the ultimate release… I was let into the double super secret alpha testing program for ESO. So all of the time and devotion I would have spent playing Neverwinter, I instead poured into the alpha testing program for ESO. As such I feel like I never really actually gave this game a chance. 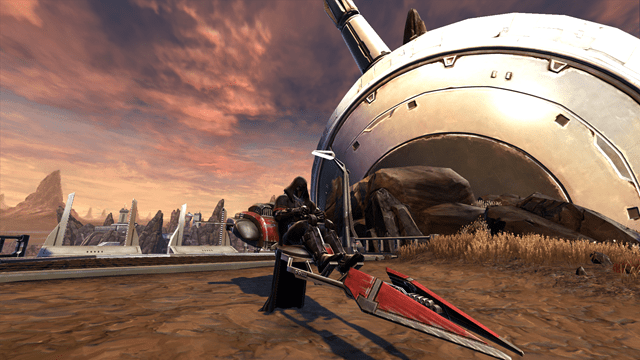 I enjoyed the Guardian Fighter quite a bit, and it was an excellent mix of tank and brawler giving me the ability to do damage with my favored sword and shield. Again the biggest problem is that I was trying to compare it to the Dragonknight Sword and Shield that I was playing in Elder Scrolls Online and Neverwinter just coming up short. What interests me about potentially going back is the fact that not only is there official content waiting on me, there is an absolutely insane amount of player created content. 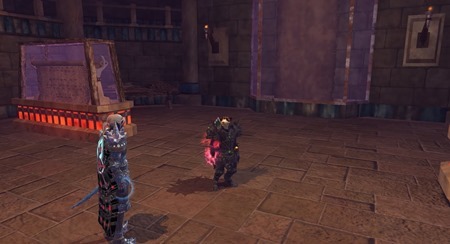 My friend Tipa from West Karana blog, has seemingly done an amazing job of recreating some of the nostalgic content from the original Everquest with the Neverwinter foundry toolset. At some point I really want to go in and experience this first hand. The biggest thing holding me back is the fact that firstly, I am not really sure if I can remember my account information. Secondly Perfect World has never given me the warmest of fuzzies, and I’ve always found some of their practices to be a week bit sketchy. Even taking these into consideration I am sure at some point I will reinstall this game and give it another go. There is just too much left there to experience that I have not seen at all. Good morning you happy people in digital land. I am trying to muster the “oomph” to do another days post. For whatever reason since the “flood” happened, I have not been sleeping well at all. I assume it is all the noise from the air mover fan we have had pointed at our carpet to try and dry everything out. Luckily at this point… I think the carpet is completely dry so here is hoping that turning it off tonight will render a full nights sleep. With all the recent strife caused by our washing machine and the subsequent damage… my morning posts have pretty much been dominated by that. 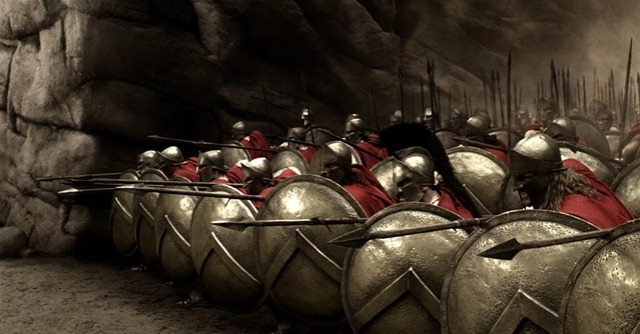 However in the gaming world there was quite a little shake up… at least as far as the twitter-sphere is concerned. 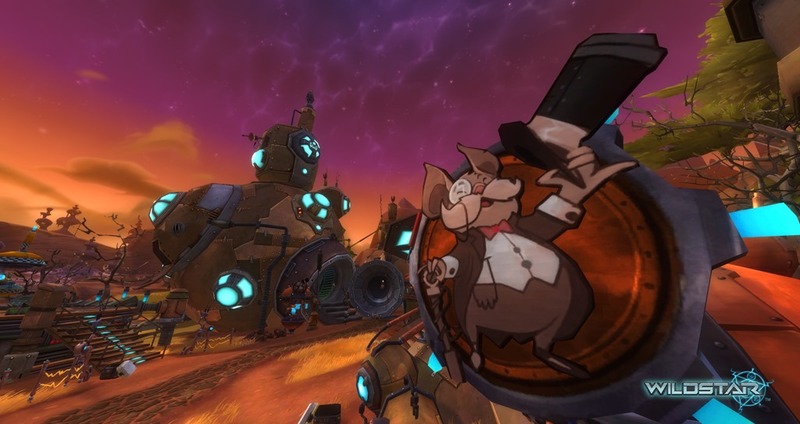 Monday Carbine announced the business model for Wildstar… and it was shockingly subscription based. 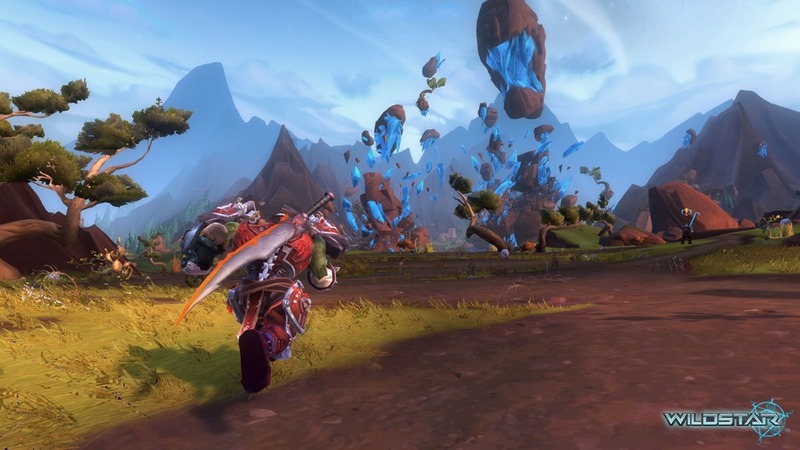 I think most of us in the blogging circles had been expecting Wildstar to launch as a free to play or some sort of hybrid model. Instead we are getting a full subscription game with an implementation of the PLEX system from Eve. Essentially all players will have to do one of two things to continue playing. Either they will pay a monthly subscription fee, or they will purchase and consume a C.R.E.D.D. on the open market that another player has purchased speculating that they can sell it for enough in game currency to make it worth their while. EQ2 also has a very similar system to this with the Krono, and it seems to work well enough at removing large sums of in game currency from the market. The big negative however is that mere mortals are unlikely to ever possess enough currency to buy one of these subscription tokens. In the games I have played that have them they usually start off reasonable enough shortly after the program launches… but over time it continues to trend upwards gaining in game currency value. 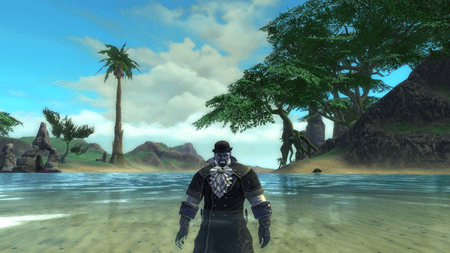 For example when I bought my first Krono in EQ2, they were selling for 500-600 platinum. However the last time I sold one, I was able to get almost 1000 platinum for them in a few months time. Additionally the REX token in Rift launched at around 600 platinum and now fetches roughly 1500 platinum depending on the server. Essentially it is constantly pushed out of the reach of anyone that is not an auction house baron or a habitual gold farmer. Essentially in my experience there is really no way that anyone casually interested in a game like this can afford to buy the subscription tokens from the market. They are stuck with subscribing to keep their access turned on. For me my interest in Wildstar has gone from passing to pretty much dead zero. All thanks to the announcement that there will be a subscription attached to the game. Don’t get me wrong… I love subscriptions in games that I am really interested in. I will happily pay a monthly fee to support the game and gain buffet style access to all its features. But I am simply not “really” interested in Wildstar. The problem is… in my large circle of gaming friends it seems very few players actually are. There are a bunch of us, that likely would have picked the game up were it a “buy the box” or free to play model. We would have given it a shot, seen what it was like in close up and maybe for some of us… it would have clicked. But the fact that I know there is both a box cost and a reoccurring subscription fee really makes the game something I don’t want to take a chance on. In a world where most of the games I have been playing… are free to play… that subscription fee seems like an awfully binding commitment. Ultimately I will be sitting in the wings, waiting for the eventual switch over to free to play. That seems to be the thing to do these days… and what started off as a way to bail out a sinking game seems more and more like an actual business model. It feels as though there is the initial 6 month money grab of subscriptions… then a planned deployment of free to play to catch the players like me who were only casually interested in their net. If this is really in fact a business model, it seems like a very disingenuous one. There are players who are supremely devoted to the subscription business model. One of my good friends Liore, has gone through a whole arc as a game she deeply cared about… namely Rift went free to play. While she has softened to the idea of the Rift free to play implementation… since arguably it is likely the most player friendly one on the market.. she still is not a huge fan of the “death of the subscription”. When a game company sets out to do a 6 month money grab then convert to free to play… they risk alienating all the players that are extremely pro-subscription. I guess at the end of the day… my problem is not that Wildstar has gone subscription at all. It is that Wildstar is not interesting enough to me to make me WANT to pay a subscription for it. Granted I have yet to play it at all… so maybe the proof is in the play style… but right now having only received the publically available information I am just not interested enough to commit to it. Additionally I seem to have a love/hate relationship with Science Fiction MMOs. I enjoy the hell out of them for a short period of time… but the scifi genre in general seems to lack the hooks to keep me there for long. Granted that would probably all change if a Mass Effect or Fallout MMO were ever to release. However I highly doubt either of those would happen, and quite frankly after SWTOR Bioware should farm out the “MMO” portion to someone more experienced. Getting back on track… I don’t see anything fundamentally flawed with the subscription model. I pay a subscription to Rift, even though it is the best free to play model out there. I do it because they reward me in so many ways for doing so. Similarly I used to pay a subscription to EQ2, Lotro, DDO, etc… all of which are free to play games… because the subscription gave me something more than I could get otherwise. Ultimately this comes down to a case of me just not being that interested in Wildstar. The main issue with the subscription model is it turns off the revenue stream from players like me that might have bought the box if there were no strings attached. Ultimately right now there are entirely too many good options for a player to play for no money outlay at all. It used to be that all you could play for free were a handful of subpar eastern games. 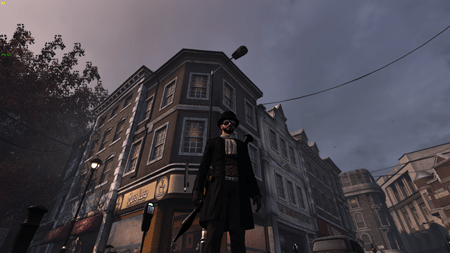 Now you have games like The Secret World and Rift at your disposal… both of which are games I would happily pay a subscription fee for… but don’t have to. Essentially Carbine is asking players to take a gamble on their game… by buying the box and paying a monthly subscription and I feel as though a lot of players just are not willing to do that any longer. This is simply my point of view based on the “temperature” from both social media and blogs in response to the rather “shocking” announcement of Wildstar’s payment model. Essentially you can take everything I just said today with a grain of salt. Just because I was shocked that Wildstar did not go free to play… does not necessarily mean I am opposed to the subscription model entirely. For example… if Elder Scrolls Online were to come out tomorrow and announce that they were going to be subscription only, it would be equally shocking. However I would care far less, because ESO is a game I am already 110% committed to playing at launch. From the moment it was announced I have been figuratively been like Fry begging them to “Take My Money!”. The difference is.. ESO is a title I deeply care about and have been wanting to play literally since the first time I played Morrowind. I had played Daggerfall before, but with Morrowind I was already used to the MMO construct thanks to lots and lots of Everquest 1. All the while I was playing the game I kept thinking… man this setting would be so much more enjoyable if I could play it co-op. So I have been 100% sold on the concept of an online Elder Scrolls game since that moment. Each additional TES game.. has made me want the ability to play it with my friends even more. When I heard that Zenimax was working on an MMO, I hoped beyond all hope that it was the Elder Scrolls setting. At this point they could charge a $200 box fee, and $20 a month subscription… and I would likely still figure out some way to play it. I feel however that this level of buy in from an MMO player is extremely rare right now. We are literally deluged with really good options that cost us next to nothing to play. 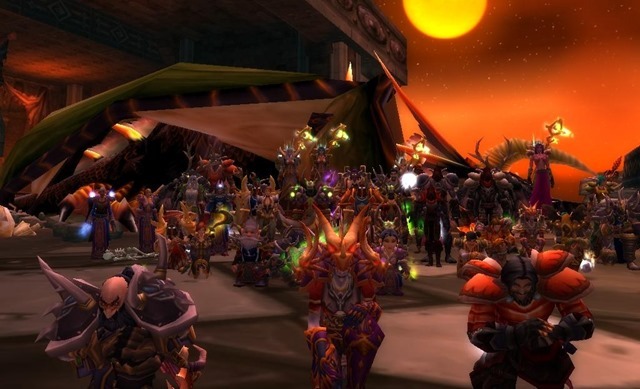 The MMO climate is nothing like when WoW launched or even when Warhammer Online launched. Players are not looking to ditch their current game for something new… they want to dip their toes in the water first to make sure they like it better. Having both a box fee and a subscription fee sufficiently raises that barrier just high enough that a good number of players, myself included will not commit to the game unless we are completely sold on it. For an unproven brand, from a publisher that is notorious for selling their games short (NCSoft)… it just seems like a massive hurdle to cross. Well I need to wrap this up and get on the road. We are taking delivery of the new washing machine today… so I am only working a half day. Essentially I need to get to work and do a full days work in 4 hours. I hope you all have a great day and I hope everything goes smoothly with the delivery and install of the new washer. Last night was a bit of a mad dash around the house to try and clear room for the folks to move it into place. I think I am as ready as I will ever be.